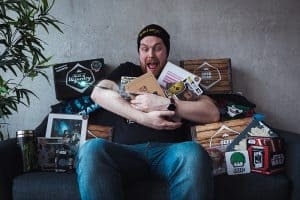 GeekGear is a company which sends out boxes full of geeky awesomeness! It costs £19.99 per month, and ships worldwide. The box is delivered in a mailing bag. It’s pretty well protected, and while the box is very slightly damaged (not that it matters), everything inside is fine. Here’s the menu. It gives you descriptions of all the items, plus RRPs. This is the Space Banner. It’s really big! I couldn’t actually get the whole thing in the picture, but you can also see it on the menu leaflet. This is the Empire logo version. 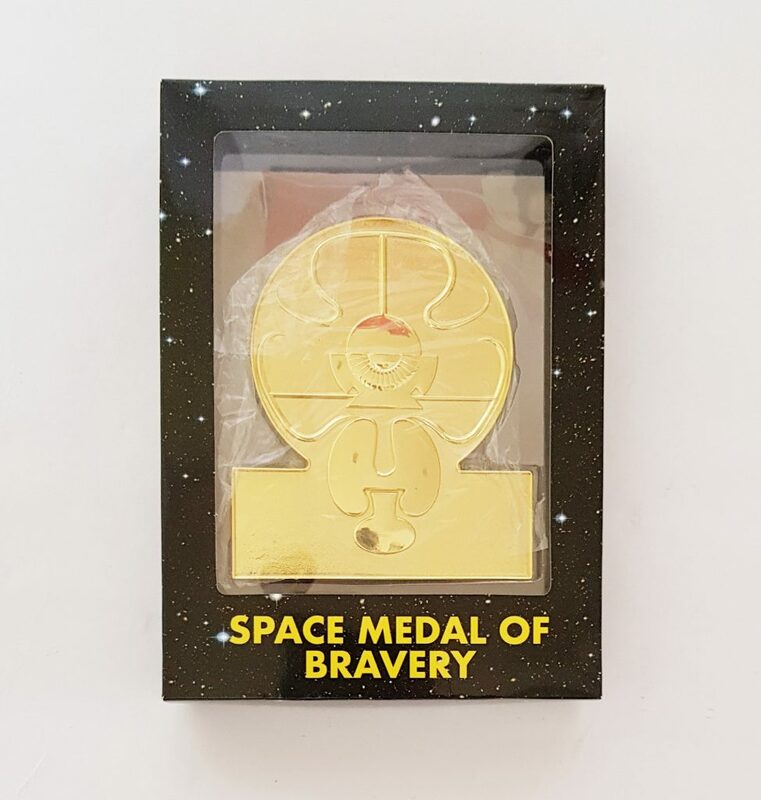 This is a Space Medal of Bravery. I can’t quite figure out what, if any, specific logos are supposed to be on this, but it’s pretty big, and it comes with a ribbon. 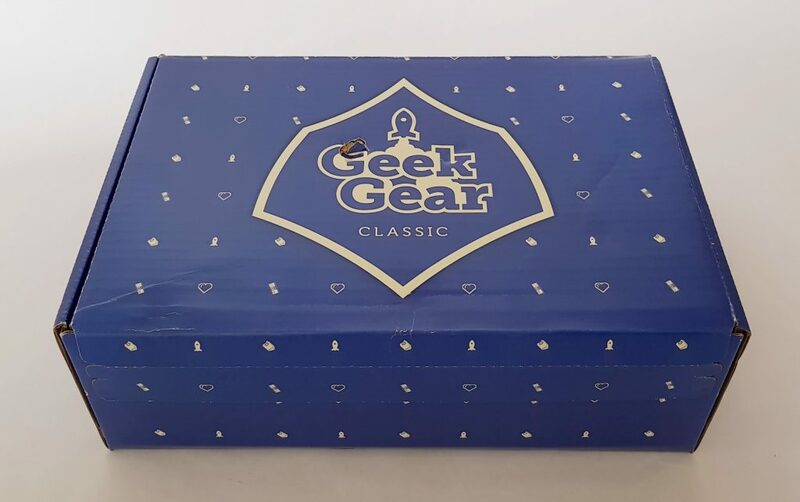 It’s a GeekGear exclusive so I suspect it’s kind of a general design. 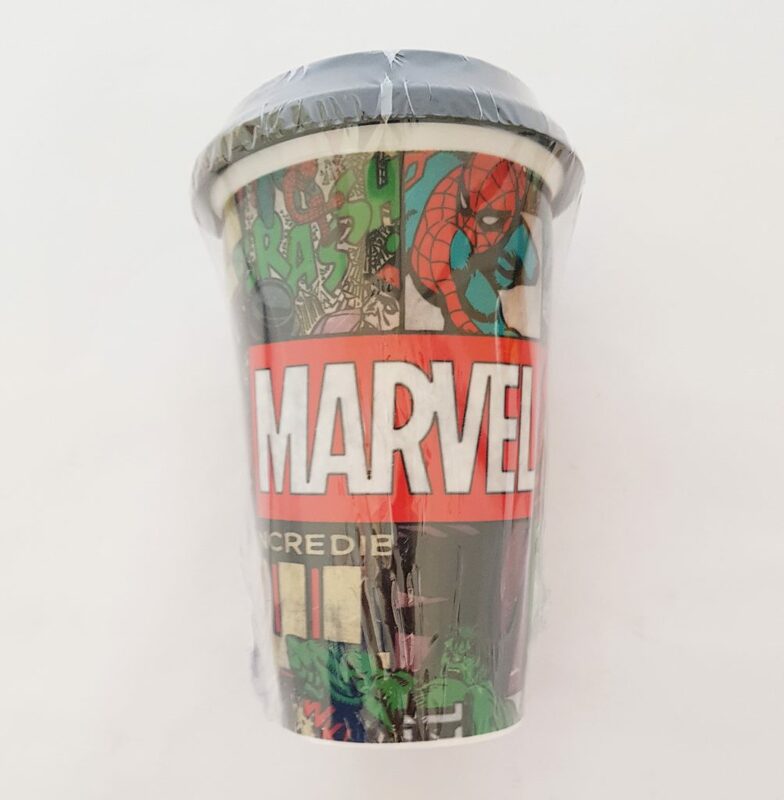 This Marvel Travel Mug is really nice. It’s heavy ceramic with a plastic lid, and has a vintage-type comic design. This Mutants T-shirt is the first of two t-shirts this month. 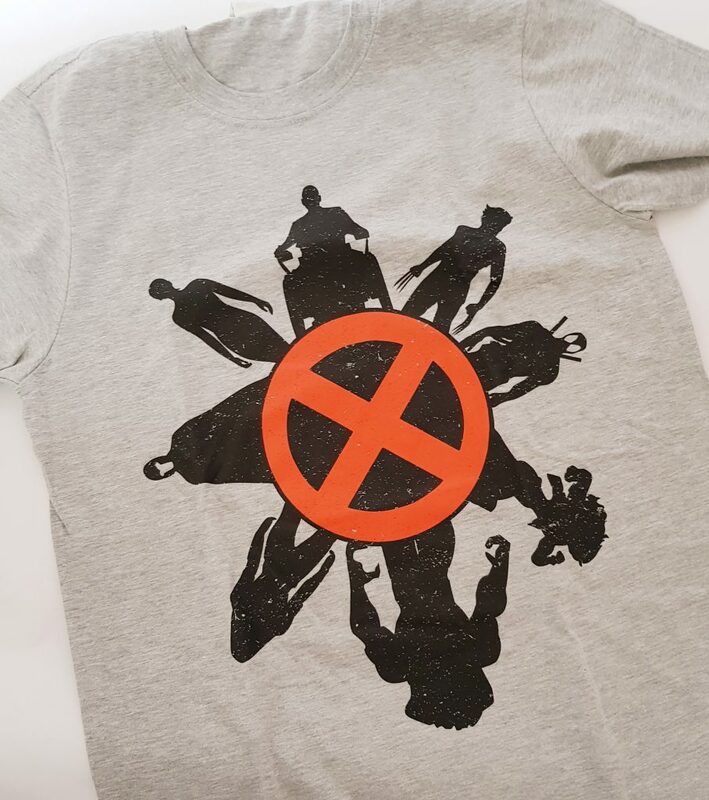 This is a cool design, with eight silhouettes of various mutants around a big X symbol. It’s kind of interesting they’ve included Deadpool as he’s not technically one of the X-Men, but he is a really awesome character! 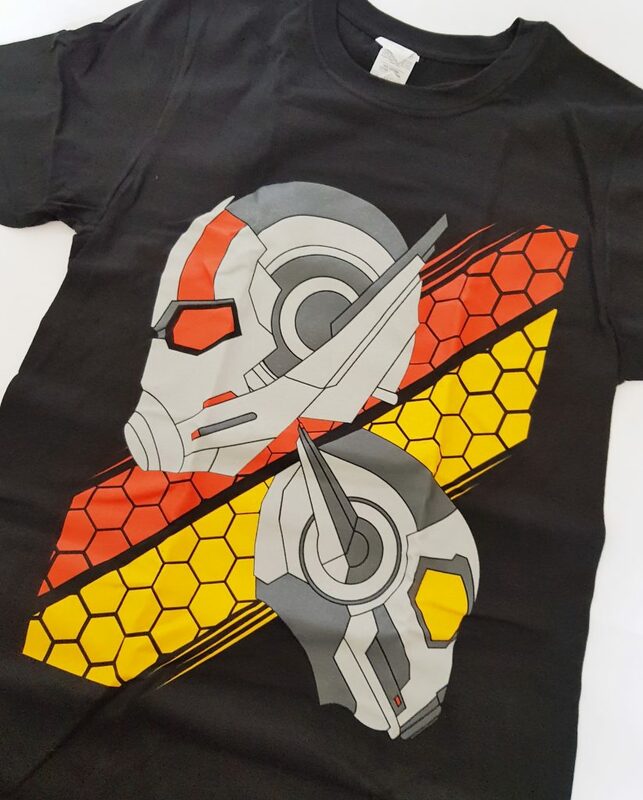 The other t-shirt has as Ant-Man and The Wasp design, both Shrinking Heroes. 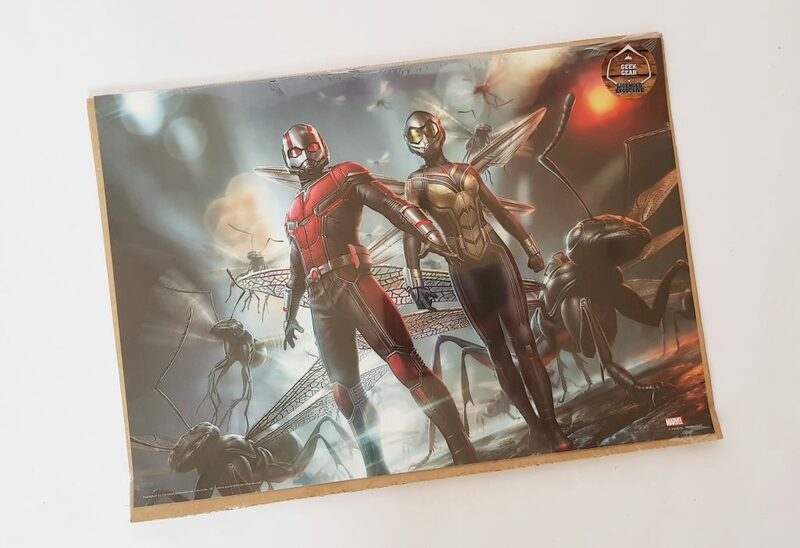 Finally, the art print, this one showing Ant-Man and The Wasp again. 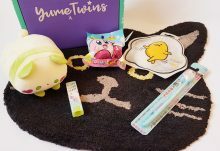 There are two versions in this month’s box, and this one is the 200 limited version! The only thing I’m note convinced about this month is the medal. 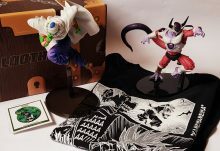 It’s not connected to any franchise I can figure out, though licensing something specific would probably be very expensive. It’s fun and looks good, but I’m not quite sure what it would be used for. 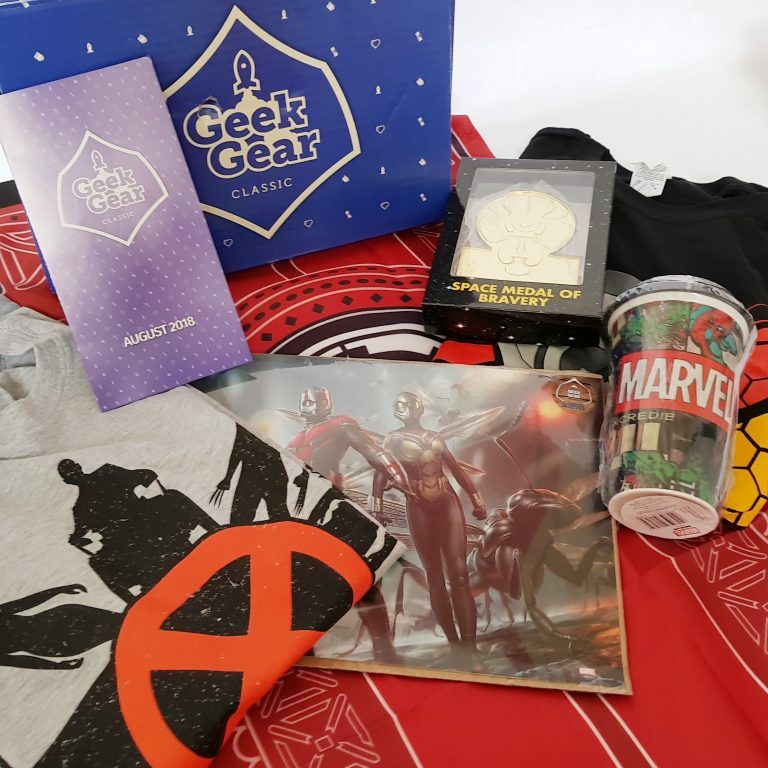 I love the t-shirts, though the mutant shirt isn’t 100% cotton. The banner would be fun for a themed party or really elaborate cosplay. The print is nice, and I’m happy to have the limited version, though I’m generally less excited about prints. My favourite item this month is the travel cup, it’s great quality and great encouragement to use reuseables! Two t-shirts is a real treat, and I really like the practical nature of the cup. 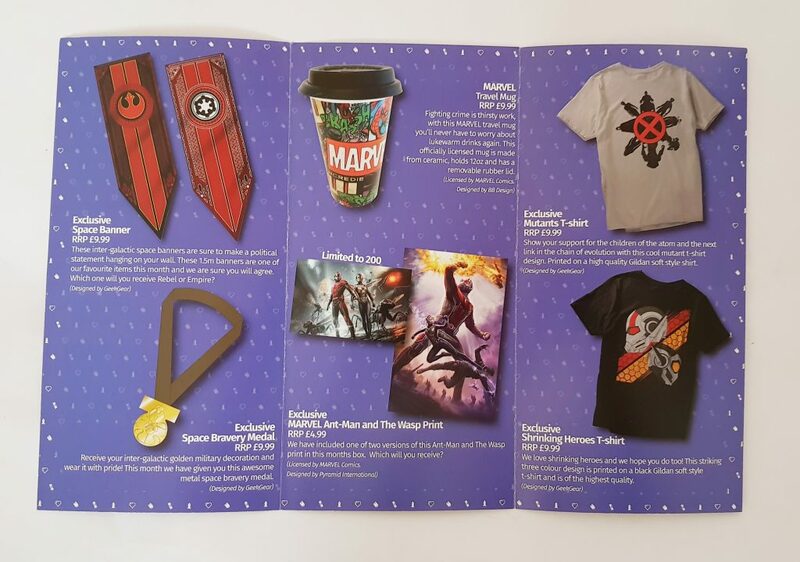 Regarding value, while I think the banner and medal are slightly over-valued, the cup and t-shirts are worth well over the price of the box, so everything else is a terrific bonus! 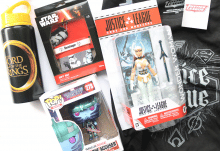 A nice combination of franchises, with a standout useful item!